The LEGO videogame series has embraced pop culture almost from the get-go. Four years after the series debuted, it released LEGO Creator: Harry Potter in 2001, and since then it’s released Star Wars, Indiana Jones, Batman, Lord Of The Rings, Marvel Super Heroes, and a bunch more Harry Potter titles. 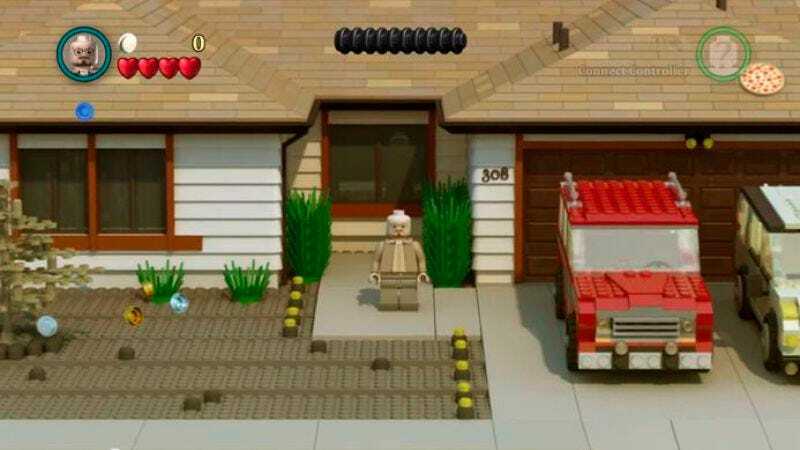 Less likely to follow: Breaking Bad, though programmer Brian Anderson has fantastically merged the LEGO games and the beloved AMC series to show what such a game might look like. Anderson clearly knows Breaking Bad (his faithful recreations of the Winnebago and Walter’s house are worth watching just for themselves), but he’s also got the mechanics of LEGO series down pat, collectible coins and all. Plus, the game looks fantastic, beautifully rendering an Albuquerque made of tiny plastic bricks. If only it were real.